Velvet Calm™ (Mucuna pruriens) also known as Velvet Bean, is a tropical vine that produces soft, hair-like covered pods. The seeds inside these pods are considered one of the best botanical sources of L-dopa and have been traditionally used in Ayurvedic holistic medicine as a nerve tonic and adaptogen to help the body deal with stress. Velvet Calm™, with 15% naturally occurring L-dopa, supports the body’s ability to manage stress and the brain processes that lead to sleep. L-dopa is an amino acid that converts into dopamine, a powerful neurotransmitter in the brain. Dopamine acts upon the central nervous system and plays a vital role in mood, relaxation, sleep, libido, motor function, alertness, energy and more. It is a vital compound required for proper functioning of the brain. Dopamine cannot directly cross the blood-brain barrier (a filtering mechanism of the blood to the brain and spinal cord tissue) but L-dopa (precursor of dopamine) can. Once L-dopa is able to cross this barrier, it then converts into its active form Dopamine. Balanced dopamine levels can help the body control muscle movement and increase pleasure, desire and interest in life. Since Velvet Calm™ affects the nervous system, it may help promote better energy, improved sleep patterns, relieve anxiety, reduce cravings, calm the nerves and boost the overall mood. Velvet Calm is best taken early in the day. It is recommended to start off at the lowest dosage and slowly increase, if needed. 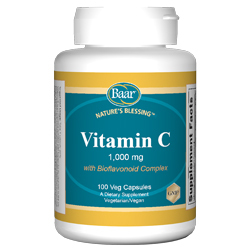 It is a supplement that works best in small dosages taken consistently rather than taking too much. The therapeutic properties of this natural plant extract has far reaching benefits and may be just what you need to stay healthy and happy. It’s time to experience inner peace and get that restful sleep you deserve! 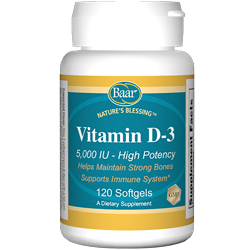 This entry was posted in Anxiety, Stress, and Sleep, New Products on April 3, 2015 by Dr. Bruce Baar. Lack of sleep is a common issue for many people in today’s fast-paced, high stress world. There are a few different factors which contribute to the constant tossing and turning every night. Sleeplessness can be attributed to stress, anxiety, eating too close to bedtime, exercising too late, and much more. While many may opt to take prescription medications with a long list of side effects, there are various natural ways to fall asleep and stay asleep. 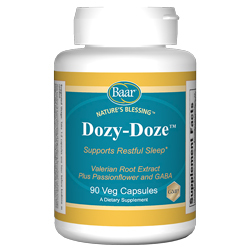 Dozy-Doze™ is a relaxing combination of Valerian Root Extract, Hops Extract, Passion Flower and GABA. This combination of ingredients is formulated to help quiet your mind and relax your body so you can drift naturally into a restful sleep. This non-habit forming supplement will help you stay asleep and wake up refreshed with renewed energy that lasts throughout the day. Valerian Root is a calming herb which helps to relieve stress and anxiety, often acting as a mild sedative to aid falling asleep. This herb has been historically used since the 1800’s as a natural sleep aid and relaxant. Valerian not only helps you fall asleep faster, it may help you stay asleep longer, so you wake up feeling refreshed. The dried, flowering part of the Hops plant is often used in making medicine. Hops Extract is used to ease restlessness, tension, anxiety, inability to sleep and other types of nervous disorders. Research shows that Hops Extract and Valerian Root Extract are a powerful combination which may decrease the time it takes to fall asleep, supporting a rejuvenating sleep. Passion Flower Extract has been considered a non-habit forming sedative. It is nature’s sleeping pill and produces no narcotic hangover. It is also considered to be an antispasmodic, as it eases muscle tension, anxiety and nervousness. Passion Flower may decrease the amount of times that one awakens during the night, leading to a more refreshed feeling upon waking. GABA (Gamma-Aminobutyric Acid) is a chemical that is made naturally in the brain and is known as the brain’s own calming agent. Unbalanced levels of GABA can result in higher levels of anxiety, nervousness and excitation. Supplementing with GABA helps to balance the level of brain stimulation which promotes relaxation and eases nervous tension. It’s time to finally get that deep, restful sleep you deserve. Relax your body and calm your mind with the powerful combination of natural sleep-inducing ingredients in Dozy-Doze. Rise and Shine. 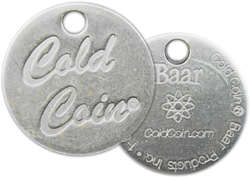 This entry was posted in Anxiety, Stress, and Sleep on January 20, 2015 by Dr. Bruce Baar.